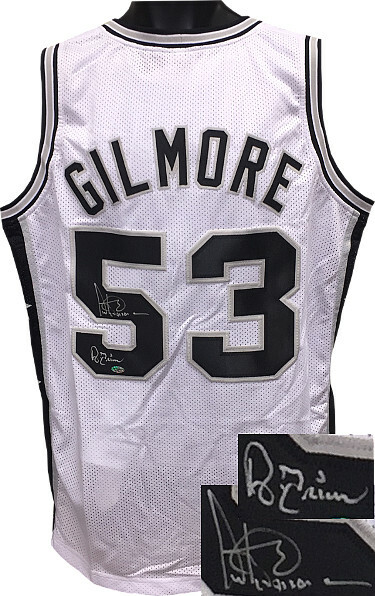 This is a new, in stock, Artis Gilmore signed White Throwback Unlicensed Custom Stitched Basketball Jersey with A-Train inscription, with fully stitched twill numbers on the front and back, there are NO LICENSED TEAM LOGOS, TAGS, BRAND NAMES or PATCHES ON THIS JERSEY & IS NOT AN AUTHENTIC OFFICIALLY LICENSED JERSEY, 100% polyester, made in the Philippines. Size XL (48/50). Leaf Authentics Hologram and Certificate of Authenticity from Athlon Sports Collectibles.